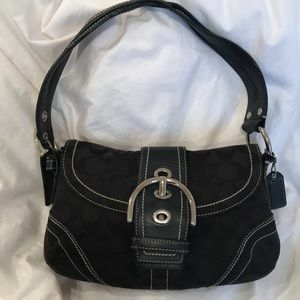 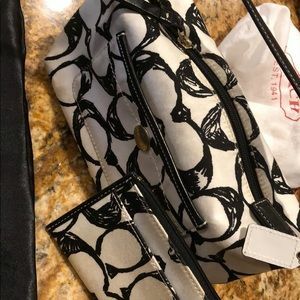 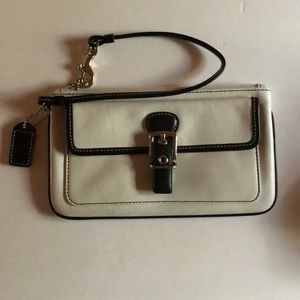 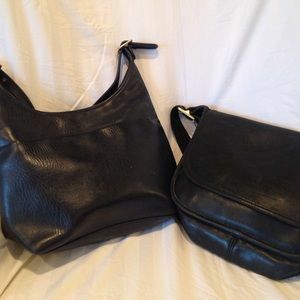 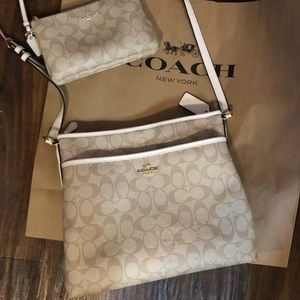 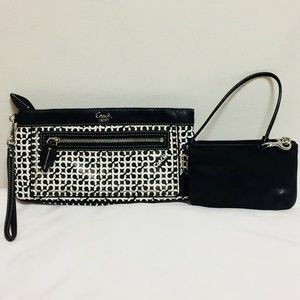 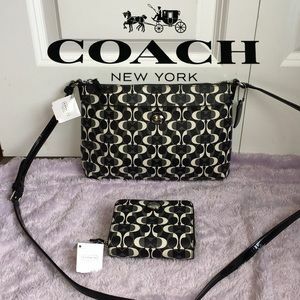 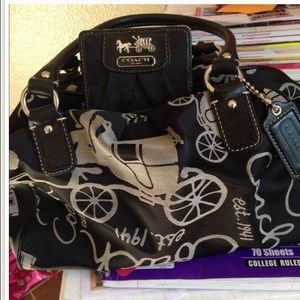 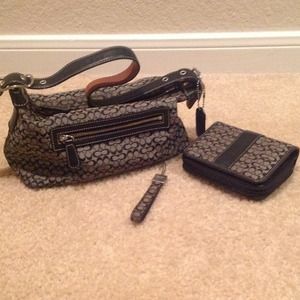 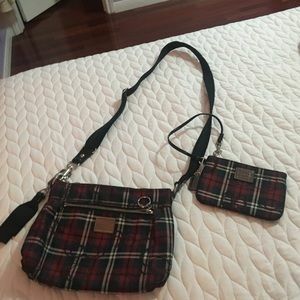 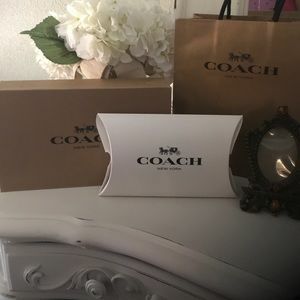 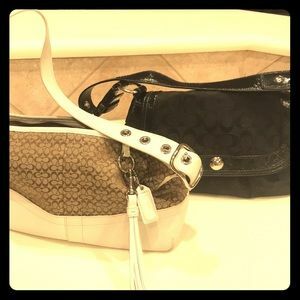 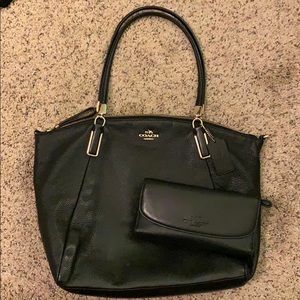 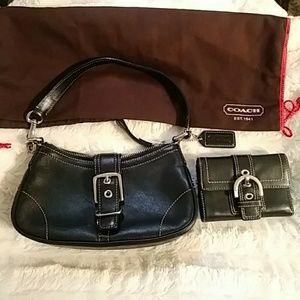 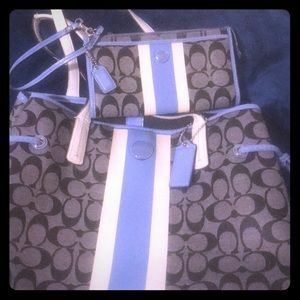 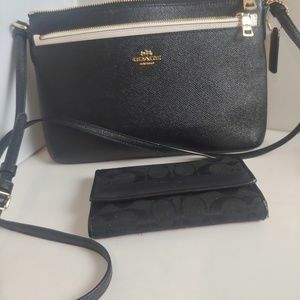 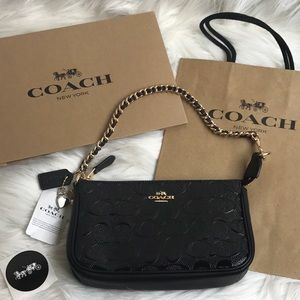 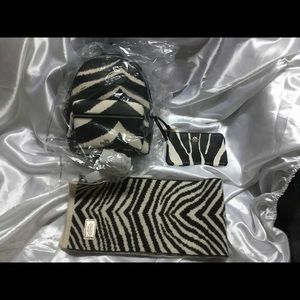 2 Coach handbags. 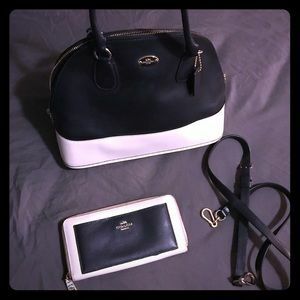 One black and 1 white. 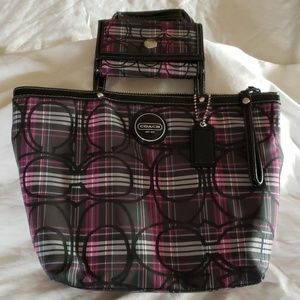 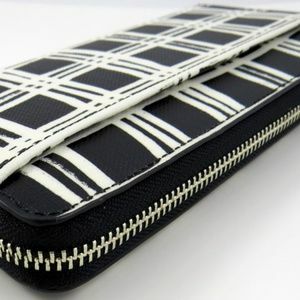 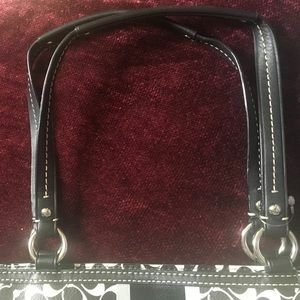 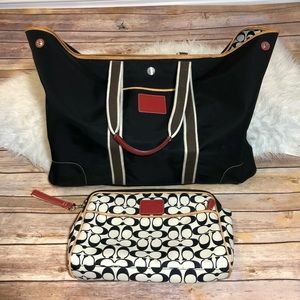 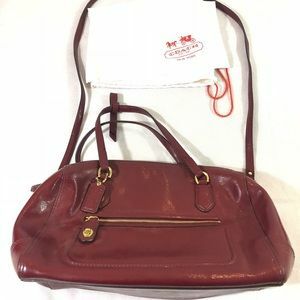 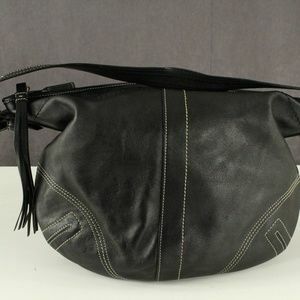 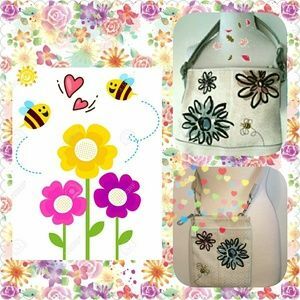 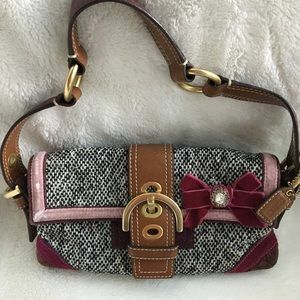 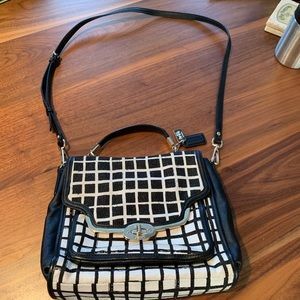 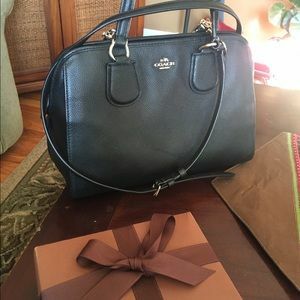 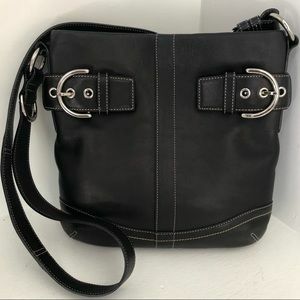 Darling mixed media Coach shoulder bag!